• The Alzheimer's Association is the world’s leading voluntary health organization in Alzheimer’s care, support and research. Their mission is to eliminate Alzheimer’s disease through the advancement of research; to provide and enhance care and support for all affected; and to reduce the risk of dementia through the promotion of brain health. 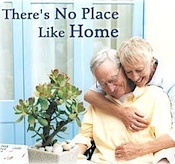 For more information on the Association, visit www.alz.org. • The National Institute on Aging leads the federal government effort conducting and supporting research on aging and the health and well-being of older people. The NIA provides information on age-related cognitive change and neurodegenerative disease specifically at its Alzheimer’s Disease Education and Referral (ADEAR) Center at www.nia.nih.gov/Alzheimers For more on health and on aging generally, go to www.nia.nih.gov.